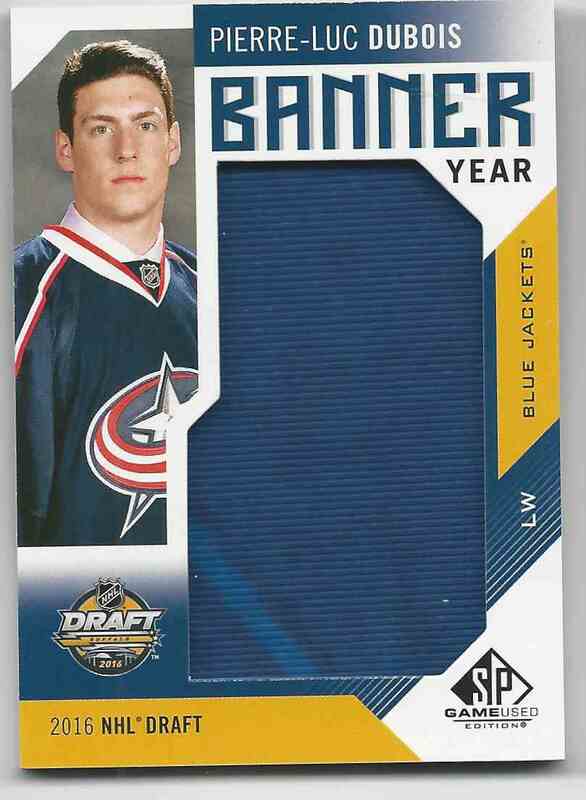 This is a Hockey trading card of Pierre-Luc Dubois, Columbus Blue Jackets. 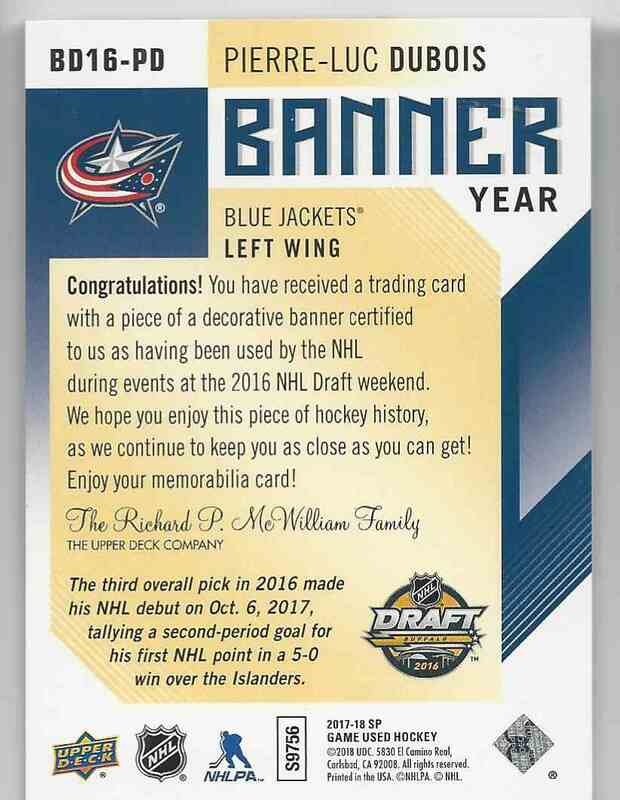 It comes from the 2017-18 SP Game Used Banner Year Draft2016 set, card number BD16-PD, embedded Jersey 1 Color. It is for sale at a price of $ 14.89.